So let me introduce the practice of entering your chakras every morning, with the intention of working consciously with your spirit. 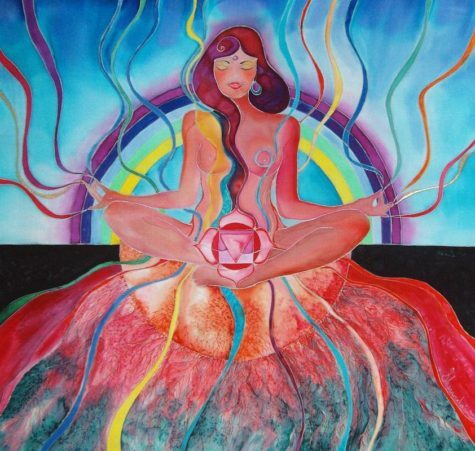 Drop your intention to your first chakra, to the base of your body, to the root of your spine. Put your attention there. This is your connection to Mother Earth. Feel yourself connected to that earth energy. Picture yourself sitting on wet earth. Picture yourself smelling that fragrance of newly cut grass. Feel yourself embraced by the soft wind of early morning. Feel sun on you. Feel sound around you. There is only you and the Earth now. You and Gaia. This is your connection to your own life, to who you are, to the experience of being alive. This part of your body, your first chakra, contains the truth that all is one. You know that. As you radiate in this part of your body, you can feel that truth. You can feel yourself connected to every part of life. The fragrance of the Earth, the aquatic systems, the air, nature, life, your family, your friends, the planet. all of life is connected to you in this moment. All of life. As you prepare for your day, consciously walk into these thoughts. Allow that truth that all is one to penetrate through your body and feel that truth and its force moving down your legs. Feel that. Your first chakra is connected to your legs. Feel that power that when you walk on this Earth, you are walking in that truth. No matter where you walk you’re going to be connected to that electrical guidance that met you the day that you were born. You have a circuit and that circuit connects you to every form of magnetic life on this planet. Take a moment and put your attention there and think about your day. Do you feel unsafe or insecure on this day in your life? Is there something that scares you about this day in your life? Feel your fears, pull them into your consciousness, because you’re doing to need to deal with them today. What strengths can you feel from this part of your body? Remind yourself again: all is one. This is your area of physical strength, this is the part of your body that pulls from that deep sense you have of trusting in your own strength to stand tall. To handle whatever weight is put on your shoulders. Since thought is an energy form you can stimulate your Chakra centers through meditation, visualization or breathing energy into your various Chakra centers. 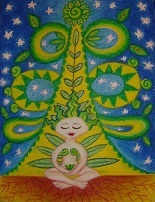 Visualization (imagining color and movement) adds additional power to a Chakra’s vibration. Water is a conductor of energy and color is an energy. While lying in the colored water your body absorbs the vibrational frequency from the color. Take the time to give back to your body and soul! While bathing, balance that Chakra by thinking about what you would like to achieve from that specific energy and maybe add the correlating aromatherapy oil. Do not use chemical food coloring to dye your water. I recommend Colour Bath™ by Colour Energy Corporation, as it is totally organic and therefore safe to use. Art and color can be used as an outlet to either express or stimulate. Surround yourself with the colors, which are suitable for what you need to accomplish in that area. Use calming colors in your bedroom and mentally stimulating colors in your work space. To learn more about color, and how it affects you and your environment, visit Color Therapy. The following questionaire gives you a tool for self-analysis that will help you increase the energy centers that you rated lowest in. Understanding what thoughts or issues may cause a Chakra to stagnate (not develop fully) is the first step in acquiring balance. These questions are connected to your Root Chakra power. 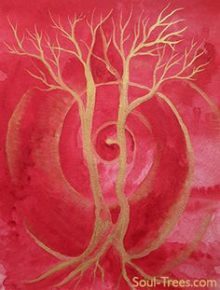 The Root Chakra is your main power station and it is connected to your physical vitality and endurance, mental perseverance and it is the center that gives you your life’s passion. 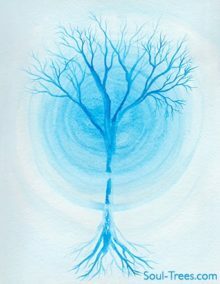 The root center is also your connection to your existence. Foods and herbs to balance this Chakra include: Beets, Shilajit, Red Meat (organic and grass fed is best), Tomatoes, and Pomegranates. Use aromatherapy oils such as sandalwood, ylang ylang or juniper. Stimulating music with deep beats such as drums or music that makes your body move like Latin American music. Wear or carry a red gemstones. Red stones would be Red Tiger’s Eye, Garnet, Red Jasper or Ruby. Surround yourself with the color red. Engage in physical activities that connect you with your roots, the earth. 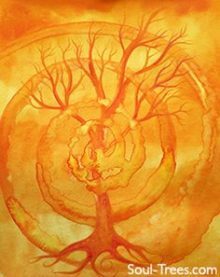 These questions are connected to your Spleen or Sacral Chakra power. The Sacral Chakra is your sensing power station, connecting you to your feeling sensitivities. It is the center that allows you to live consciously, in the “now.” The spleen center is also the link to your enthusiasm, happiness and joy – your inner child. Foods and herbs to balance the sacral Chakra include: Carrots, Mangoes, Oranges, Turmeric, Wild Caught Salmon, and Water. Surround yourself with the color orange. Engage in playful activities that stimulate your creativity, and help you to embrace your sexuality. These questions are connected to Solar Plexus Chakra power. 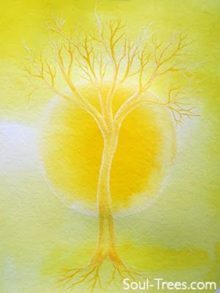 The Solar Plexus Chakra is your mental awareness, which connects you to your mind power. It is the center that governs your ability to learn and comprehend. The solar plexus center is known to govern your ego and your will power. It is the sun center that emits optimism and confidence. Taking classes, reading informative books, doing mind puzzles. Developing one’s photographic memory. Detoxification programs. Music that is mentally stimulating such as chimes, reed and horn instruments. Surround yourself with the color yellow. Spend some time in the sunshine. Engage in mental activities and games that bring a smile to your face and give you confidence. These questions are connected to your Heart Chakra power. 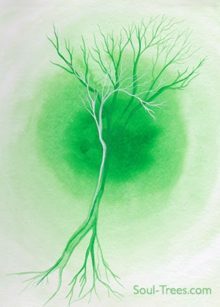 The Heart Chakra is your heart power station, connecting you to your emotions. It is the center that allows you to love and give unconditionally. The heart center governs your relationships. 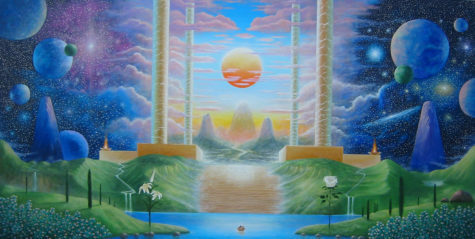 It is the energy center that integrates one’s physical reality to one’s spiritual connection. Surround yourself with the color green. Walk barefoot in the grass and send love to the world around you. These questions are connected to your Throat Chakra power. The Throat Chakra is your communication power station. It is the center that handles incoming and outgoing messages. It is through this center that we voice our opinions and our truths. Foods and herbs to balance the throat Chakra include: Blueberries, Blue algae and fruits from trees. To balance this Chakra simply speak up and say what your heart is urging you to say! You’ll find that any throat issue will miraculously start to go away as you align yourself with your truths. These questions are connected to your Third Eye or Brow Chakra power. The Third Eye Chakra is your intuitive intelligence. It is the center that taps into the universal consciousness. Through the third-eye you can see things from a psychic potential. Star gazing. Eye rolls. Meditation. Foods and herbs for the third eye chakra include: Grapes, Blackberries, and Red onion. Surround yourself with the color Indigo. Trust your intuition and allow it to guide you. 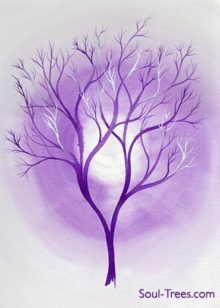 These questions are connected to your Crown Chakra power. 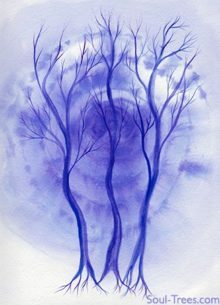 The Crown Chakra is your spiritual connection. This Chakra links you to the cosmos so you can reach your higher potential. It is the energy of knowingness and enlightenment. Focusing on dreams and writing down one’s visions and inventions. Listening to guided meditation tapes. Taking spiritual courses. The crown is more spirit than earth and is balanced by the sun, air, friendship, positivity, yoga, and meditation. Silence is the violet inspiration’s music. Crystal Bowls. Surround yourself with the color violet or white. In order for the chakras to work smoothly, they need to be aligned with each other. The most direct alignment is with the spine relatively straight. If the spine is too straight, it becomes rigid and tense which blocks the opening of the chakras. 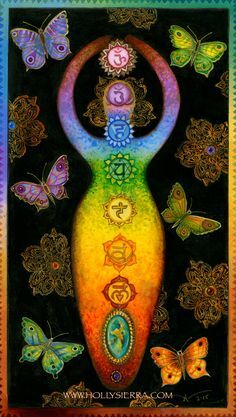 Standing with feet shoulder-width apart, stretch your hands up high over your head, reaching with your whole body, stretching out each of your chakras. Feel how this elongated position encourages the chakras to align. When you return to a normal standing position, try to maintain that sense of height, aligning your body so that the central core of each major section (pelvis, solar plexus, chest, throat, head) feels in direct alignment with the central axis of your body. Allow your feet to connect solidly below you and feel the central core (sushumna) that connects all the chakras.